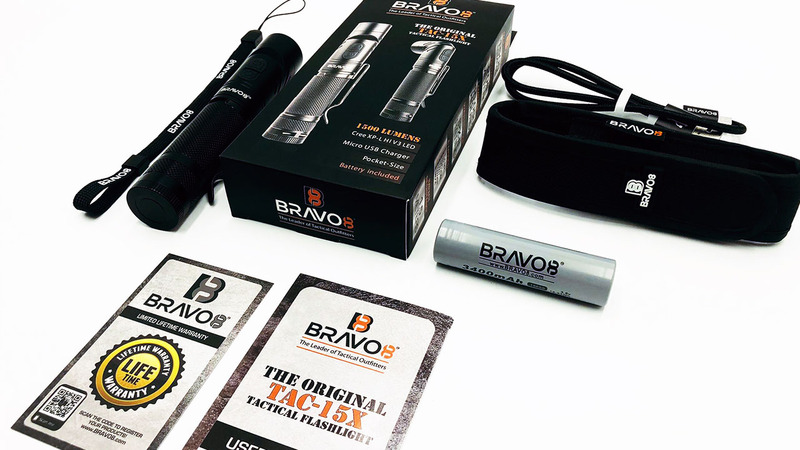 The TAC-15X Tactical Flashlight was awarded “The Most Military Style” Tactical Flashlight on the market. 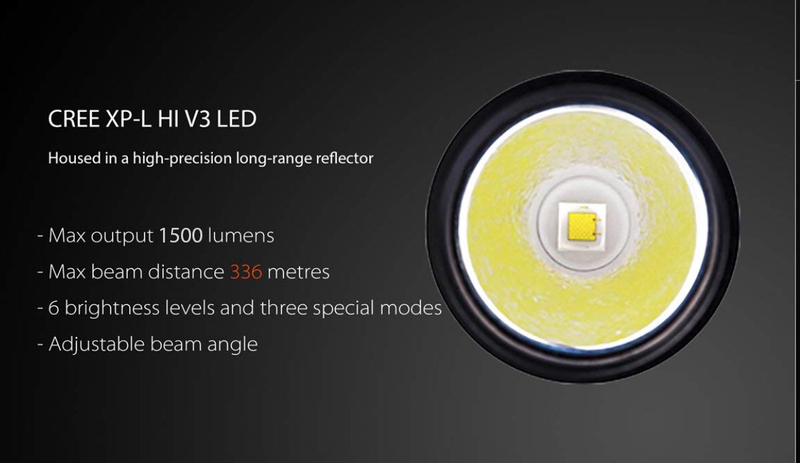 One of its key features is its impressive USA Made CREE XP-L HI V3 LED bulb, that comes with an impressive lifespan of 50,000 hours and outputs a BLINDING 1500 lumens. 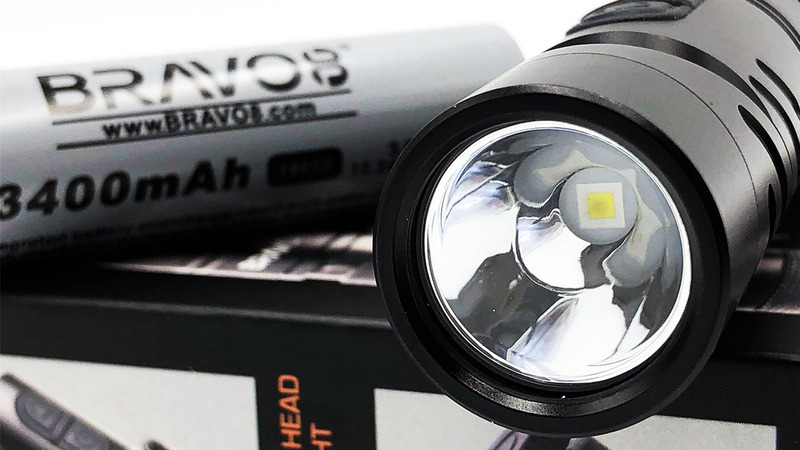 Made from Military Grade Aircraft Anodized Aluminum, the TAC-15X has a complete Waterproof Rating Standard of IPX-8, & beams an incredibly blinding light for an impressive 206 meters. 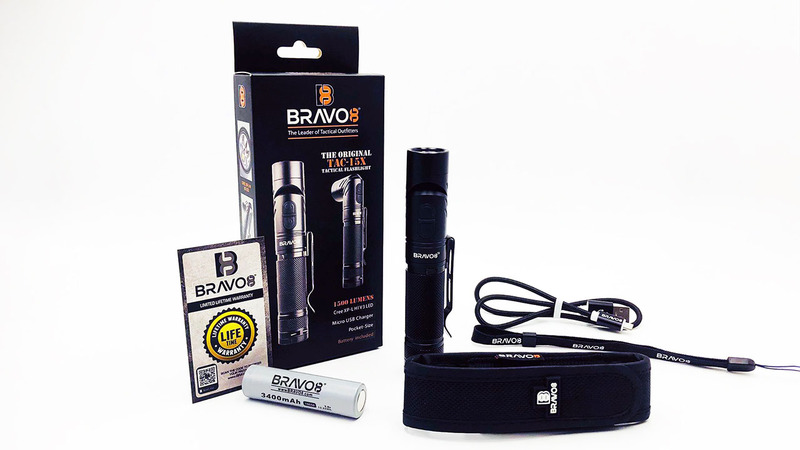 Featuring a LIFETIME Warranty from BRAVO8, this flashlight truly maximizing power by delivering 6 Output Modes, which are: TURBO BLIND, HIGH, MID, LOW, ECO & MOON Mode. 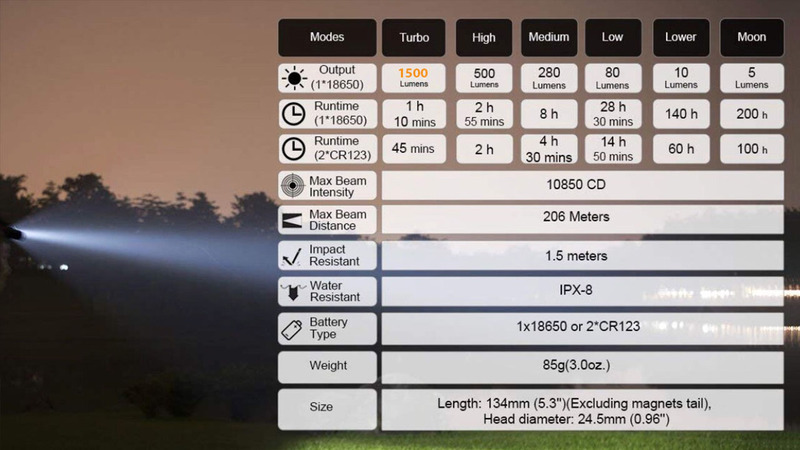 Also featured is a separate STROBE Mode. The head of the TAC-15X is adjustable & is able to move to angle to the direction desired. 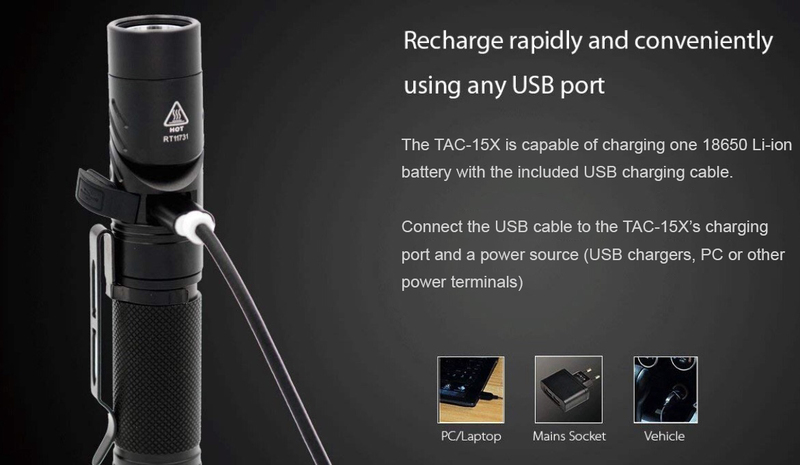 One of the more popular features of the TAC-15X is the magnet tail end of the flashlight, which allows it attach to any metal surface or magnetized area. 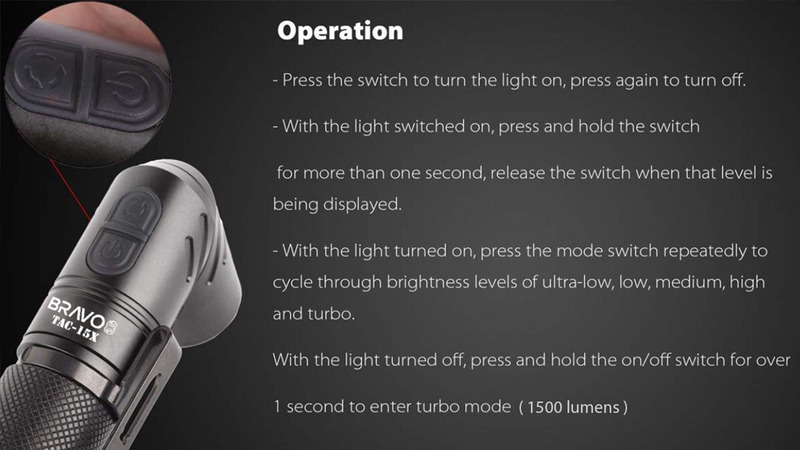 The feedback from our customers state this is a very important feature when it comes to needing your TAC-15X on the road at night while looking under the hood of your car. 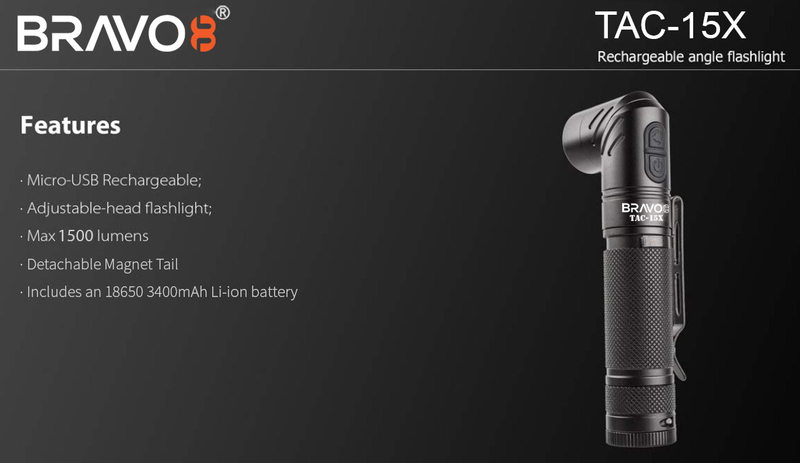 Included with the TAC-15X Tactical Flashlight is a 3400 mAh 18650 Rechargeable Lithium-ion Battery, that make this bad boy ready to go right out of the box.